Rochester: After a 11 year struggle with Parkinson's disease, a gentle, quiet man entered into rest on March 16th surrounded by his family at home at age 87. Predeceased by his parents, John and Evelyn Gordon; and his brother, John Stewart Gordon. He is survived by his wife of almost 63 years, Bernardine (Huether) Gordon; his children, Mary Catherine (Ron) Thayer, James (Sylvia) Gordon, Maureen (James) Shepard, Anne M. Gordon; his grandchildren, Matthew (Savannah) Gordon, Rosemarie (Jeffrey) Bucci, John Gordon (Christine Copenhagen), Andrew Gordon, Evelyn, Jacob and Jeremiah Shepard; his great-grandchildren, Alanna, Liam, Adrian, Brennan and Lucian; sister-in-law, Sr. Dolores Anne SSJ; many nieces and nephews; and special friend, Nancy Friday. 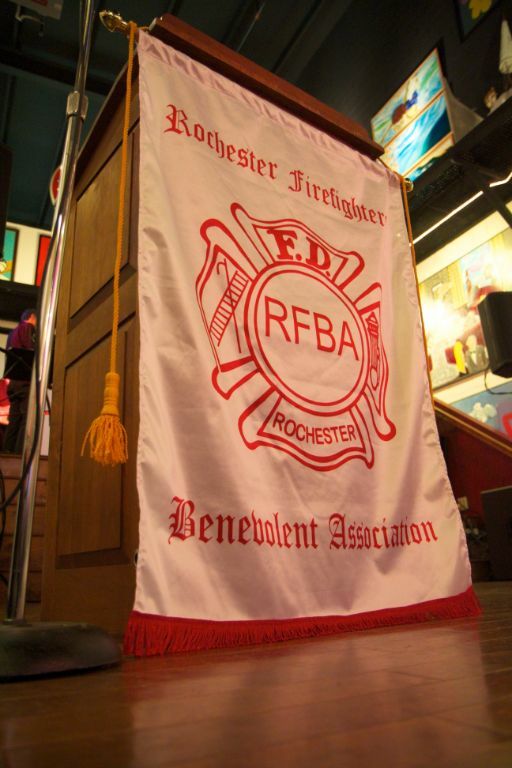 He was a retired Lieutenant with the Rochester Fire Department 31 years, a member of the Fire Fighters Benevolent Association and an Air Force Veteran of WWII. Friends may call Wednesday from 4-8 PM at the funeral home, 777 Long Pond Road (between English & Latta). Please meet the family 10:30 Thursday at Sacred Heart Cathedral for his Funeral Mass. Private interment at Holy Sepulchre Cemetery. In lieu of flowers, Masses may be offered or contributions may be made to the National Parkinson Foundation Greater Rochester Chapter, PO Box 23204, Rochester, NY 14692.